India is joining other Asian buyers such as South Korea and Japan that have already halted imports from the Persian Gulf state before American restrictions take effect in early November. India isn't planning to buy any Iranian oil in November, raising the prospect that Tehran will lose another major customer as U.S. sanctions hit and spurring speculation over whether China will follow suit. India is joining other Asian buyers such as South Korea and Japan that have already halted imports from the Persian Gulf state before American restrictions take effect in early November. It's unclear if China, the world's biggest oil importer as well as Iran's top customer, will persist with purchases. Indian Oil Corp. and Bharat Petroleum Corp., the country's two largest state-owned refiners, haven't asked for any Iranian cargoes for loading in November, according to officials at the companies. Nayara Energy also doesn't plan any purchases, said an industry executive. Mangalore Refinery and Petrochemicals Ltd. hasn't made any nominations for that month, but may do so later, a company official said. The companies are the four largest buyers of Iranian oil in India, accounting for almost all of the country's imports from the Islamic republic. Final decisions on purchases aren't due until early October, so the refiners could still change their minds. The officials and industry executive asked not to be identified because of internal policies. "Iranian exports may drop below 1 million barrels a day in November, with Indian refiners potentially loading nothing and China cutting back as well," Amrita Sen, chief oil analyst at Energy Aspects Ltd. in London, said in a note to clients. Brent crude was up 22 cents at $82.09 a barrel by 8:15 a.m. in London, after climbing almost 4 percent over the previous two sessions, just as U.S. President Donald Trump rails against OPEC and demands the cartel lower oil prices. Futures are up about 40 percent in the past 12 months. On Tuesday, Trump told the United Nations General Assembly that Iran's leaders "sow chaos, death and destruction" in a speech that also derided OPEC. However, India was among those he praised, saying the nation is "a free society over a billion people, successfully lifting countless millions out of poverty and into the middle class." 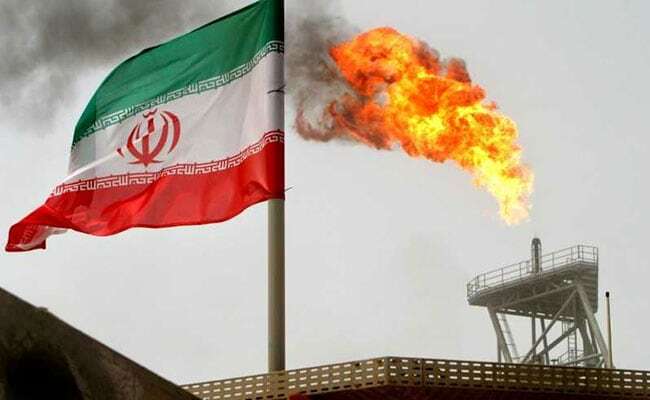 India is the second-largest buyer of Iranian oil, having imported an average of 577,000 barrels a day this year, or about 27 percent of the Middle Eastern country's exports, according to Bloomberg tanker tracking data. With several Asian and European nations also cutting imports to zero, the loss of the Indian refiners, even if temporary, is a major blow for the Islamic republic. At the same time, the impending U.S. sanctions are creating a major gap in the global oil market just as Brent crude hits a four-year high above $80 a barrel. Mercuria Energy Group Ltd. and Trafigura Group, among the world's biggest trading houses, are predicting the loss of Iran's supply will boost prices to $100 a barrel for the first time since 2014. That risk has been echoed by some of the world's biggest oil companies. BP Plc Chief Executive Officer Bob Dudley sees the sanctions on the OPEC nation having a bigger impact on the market this time than the previous round of restrictions six years ago. Trump's administration is taking a harder stance. It wants all oil imports from Iran to end by November, and it's unclear if any waivers will be granted. In previous sanctions under Barack Obama, the government had allowed nations to continue purchases at reduced levels. The tougher attitude is already showing in Iranian barrels vanishing from the market. South Korea became the first of Iran's top-three oil customers to heed the U.S. diktat by refraining from any purchases last month. Japanese refiners have also temporarily halted loadings. India and China had held out hope for Iran. It was only about four months ago that India's foreign minister said that the country won't adhere to unilateral restrictions and will continue buying Iranian crude. China also made similar comments and was said to have rejected an American request to cut imports. When Trump in May announced plans to reimpose sanctions on Iran's oil exports, the market estimated a cut of about 300,000 to 700,000 barrels a day, Trafigura's co-head of oil trading Ben Luckock said this week. However, the consensus has now moved to as much as 1.5 million barrels as the U.S. is "incredibly serious" about its measures, he said.